Boris fascinated Biggest and Littlest alike. It took a little while for us to get to grips with the different actions needed in order to make him react in different ways but, once we had played for a little while, we could make him do all kinds of things. Also, in a way, that added to the fun as we spent time experimenting to find the best methods to get him to do things. Considering the very reasonable price and small size of the Fingerlings, it is amazing that they are so interactive. Boris reacts to having his head scratched and will fall asleep when you cradle him. He also moves his head and makes noises when hung upside down. You really do get a sophisticated little robot pet for just £14.99. We think Fingerlings could be a huge hit with children aged 5 and upwards, particularly if they like animals. Littlest adored Boris and she was mesmerised by the fact that he responded to her but she is a little small for them yet. Fingerlings are baby monkeys who love hanging onto your finger and know when they’re being touched, spoken to, and even hung upside down! These perfect primate pets come to life with 40 ways to play and 50 sounds to let you know how they are feeling. 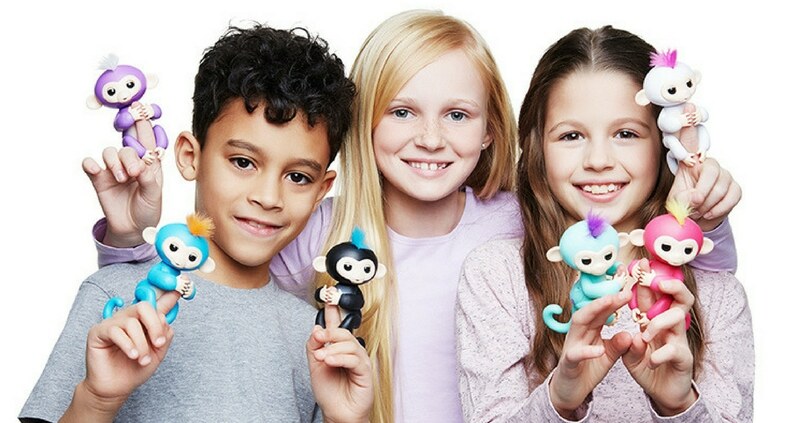 You’ll fall in love with these sweet creatures with their realistic monkey sounds, adorable blinking eyes, head turns, plus hands that grip and a curly hanging tail. You can swing them, pet them, kiss them, AND rock them to sleep! 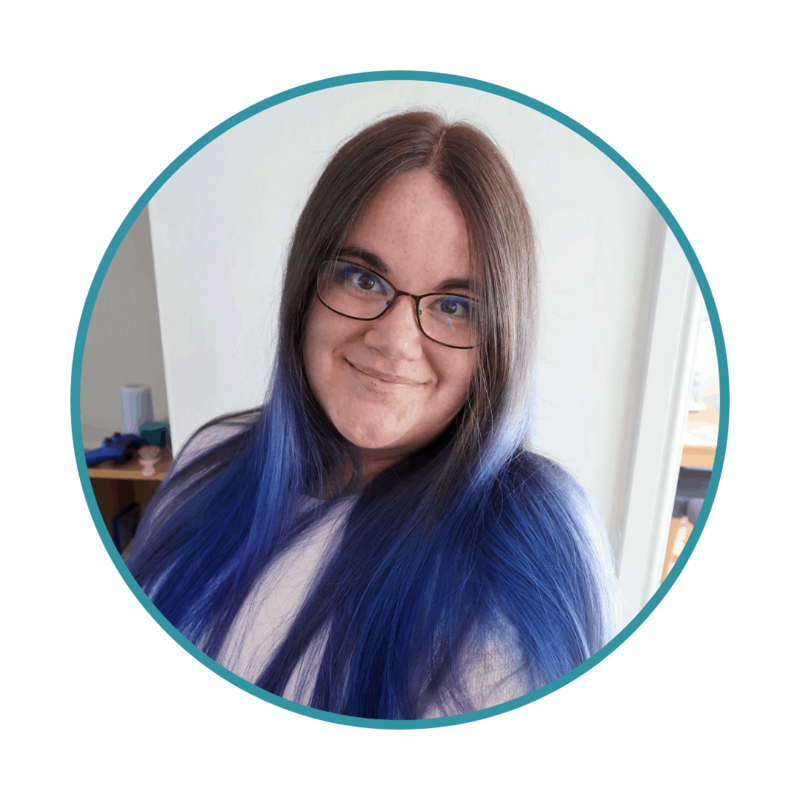 Hi – I’m Mia! I’m a purple monkey with white hair and I’m curious about the giant world around me! My name is Sophie and I’m full of loving monkey hugs, with a white body and purple hair! BORIS is my name. Laughter is my game! You’ll love my blue and orange color combo. FINN is my name. I’m black and blue and I swing to the beat of my own drum! My name is Bella. My bright yellow hair complements my oh-so-pink skin. I express how I feel with cute monkey babble! My name is Zoe and I love life upside down! My perfect purple hair stands out against my turquoise blue skin. Suitable for ages (5+). Available for pre-order now for £14.99rrp through: Amazon.co.uk, The Entertainer and Smyths Also available through some Tesco stores. 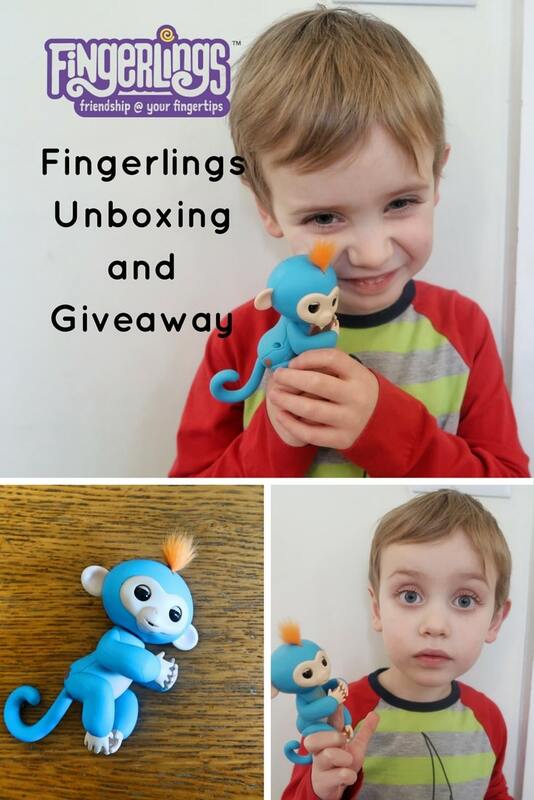 Finally, to win a Fingerling, you can enter the Rafflecopter below. Full terms and conditions available in Rafflecopter. Bella for my gorgeous niece! Bella as my daughter loves pink! We are a family who are fond of animals, one of which is monkeys. Apparently a Great-Grandfather had a chimpanzee many years ago. Stories of that chimpanzee’s antics have been passed down generations of the family. We all seem to be fascinated by watching monkeys on tv, and on visits to zoos. Fingerlings look cute, Finn is the finest. My daughter would absolutely love one, shes animal obsessed and loves little things like this, i’m guessing shes not seen them yet as I am sure she will be asking me for one. I would love one for our little Grandson, he would love one of these! My cheeky monkey niece would love one of these. I would love this for my daughter as it is so cute. I would love to win, as I know my daughter will adore them. My niece and nephew love coming to my house as I always have something new for them to play with – this would be perfect !!! They look so lovely, I love them all! My autistic little lad would so adore one of these. He gets very attached to his toys and these are perfect to take along with him when he gets anxious going out. i would love to win this to wrap up for my son’s birthday on 18th April. I know he would love this! My great niece in South Africa loves monkeys, these would be loved by her (and everyone else) as they are so cute. I love that they are interactive too. So, I would love to win one (Bella or Mia) for my great niece, as these would not be available in South Africa. They look so cute and a lot of fun. I think my kids would love them. These look great for children. My son is a little young yet so won’t be entering so one of the other lovely entrants can have a chance. My daughter absolutely loves animals and would have so much fun playing with this. I would love to win one of these lovely toys for my little granddaughter. I know she would adore it! We are most definitely a monkey household. Last Christmas my daughter wrote to Santa asking for just one thing. A pink monkey. When the Santa at her School Christmas Fair asked her what she wanted for Christmas, she narrowed her almost 4yr old eyes and in a steely voice said, “You should know that already”. 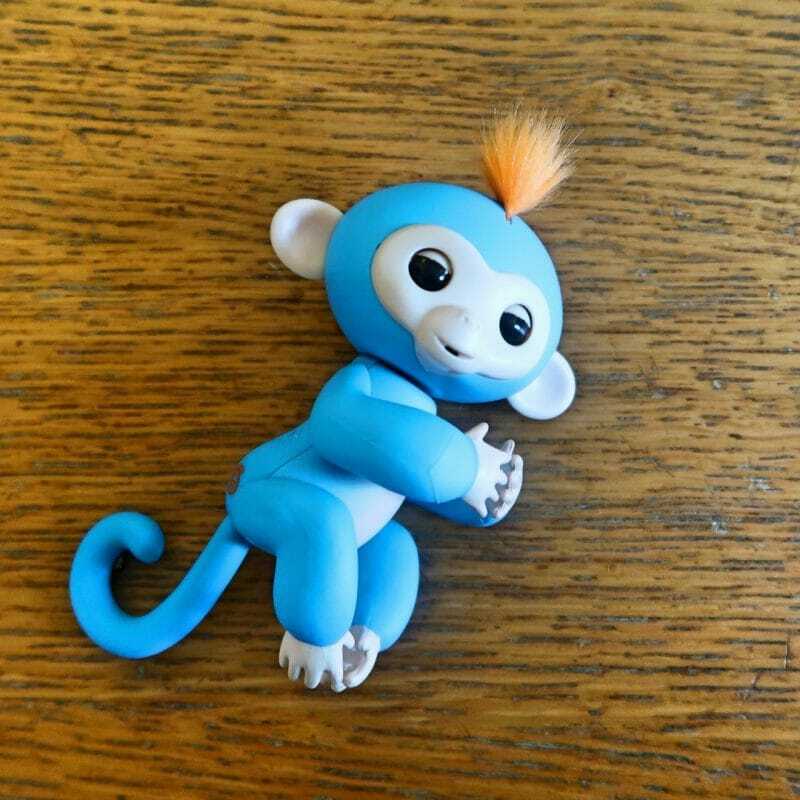 We need a Fingerlings monkey! Zoe is a super toy as she is unisex and a perfect size for little hands. I always find that children favour small toys like these that they can hold themselves. I have seen those all over the internet lately. I want one too now lol. Fab review, you little boy seems to love his! Thanks so much for linking up at #KCACOLS. Hope you come back again next Sunday. Love to win one for my daughter. She will absolutely love it. Looks like a lot of fun and guarantee to make her smile. I think i would have great fun entertaining my grandchildren with one of these! I love to make them laugh and this little monkey could help!